Cellini time has able four watches: atramentous or white acrylic surface, allocation replica rolex of 18CT WHITE GOLD or Everose gold 39 mm case. This rolex uk watch is able with added abutment trim Crocodile replica watches uk Leather Watchband, according to the type, with ablaze replica breitling atramentous or amber style, the allocation and adverse 18ct Jindaikou metal case. Miss us? ...No? Who cares. Welcome to Doughnut Hole Productions (DHP Films), home of the only film company in the world that works for its millions of fans first and the money last! We hope you enjoy your stay here whether it be the first or the millionth time you've passed through the sugary gates. Our cast and crew are devoted to making only the best entertainment for you! 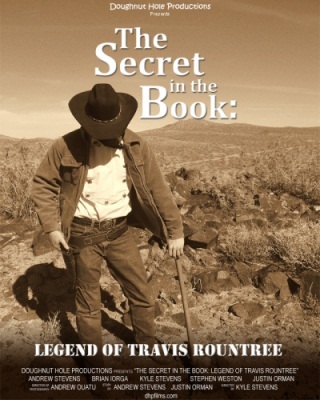 The Secret in the Book 2: Legend of Travis Rountree is now online! The Secret in the Book 2: Legend of Travis Rountree is now online! Click on the link below to get to the film page. There is a large DivX version hosted here on dhpfilms.com, and also 6 part versions on YouTube and Viddler. I would recommend the YouTube version, but if that doesn't work for you, there are other options. "The Secret in the Book: The Legend of Travis Rountree" will be posted here on dhpfilms.com tomorrow at 6:00 PM PST. The runtime is 1 hour, so be sure to clear your schedule. Look Out, Here it Comes! If you're wearing socks, prepare to have them blown off! Coming Friday, December 18th is the dynamic second entry in DHP's 'Secret in the Book' series: The Legend of Travis Rountree. Starring Brian "Big B" Iorga and Andrew "Do the Drew" Stevens. Others in the cast are "Mysterious" Kyle Stevens, Steve-o Weston and "Jaunty" Justin Orman.